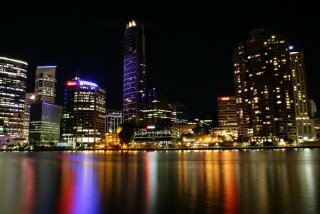 This is a recent shot I took of Brisbane. Turned out alright hey? I am also currently testing the Blog This feature from a new version of Picasa. Just seeing how well integrated it all is. Man… the mapping feature which links Picasa with Google Earth is stunning. I eventually might switch over my photo management software from Picajet to Picasa as soon as Google add a tree structure for the labels. That would rock. I mean, Picajet is ok, but Picasa is just so slick and fast and just downright utterly cool. Anyway, enough rambling. See ya! Missed returning the rental car back to Hertz by 7 minutes… damn traffic. Breakfast at Circular Quay near the Opera House. Awesome view but we had to wolf down our breakfast before it got too cold! Met up with John’s sister at Potts Point. 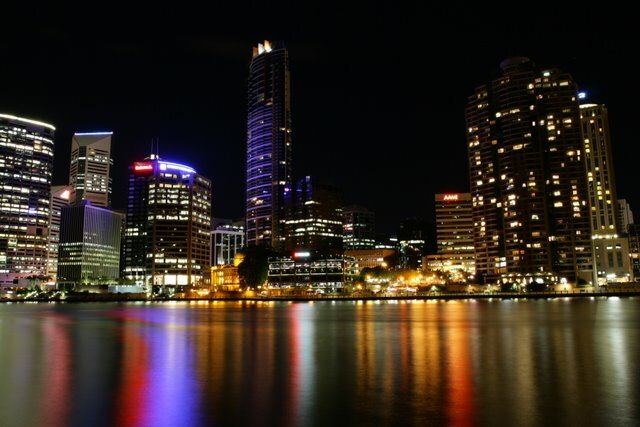 Flew back to the Gold Coast and then drove back to Brisbane. By the end of the weekend, my feet and legs were all sore, I had the beginning of a cold and I was so utterly tired. Would I do it all again? Oh yeah!! To see the photo galleries for the trip, go here. On the weekend I was invited out to take some shots of a friend of mine Steve, on his dirt bike. This was also a good chance for me to play with my 30D and the 70-300mm IS lens on some good action shots. The results were stunning. The speed of the 30D combined with the power of the IS produced some awesome shots.. The whole image gallery is here. If you want to be lazy and sit back and watch all the photos in a slideshow, click here. All in all, Steve was very happy with the shots and so was I! As most who know me will know, I am heavily into digital photography. About a week ago I picked up a new Canon 30D, which will replace my aging Canon 300D. Don’t get me wrong.. the 300D is a very good camera… but the 30D. Oh my GOD! It is awesome! I only have one gallery up so far. That can be found here. Size. Nice large camera to fit my massive hands. I was a bit worried about the tiny 350D. LCD. The 2’5″ LCD is larger than you think. Allows you to see photos better and more clearly. ISO Stops. the ability to increment in 1/3 stops gives you just that little bit extra. Buttons. Three seperate controls, the main dial, the quick dial and the hat switch all work together to make using the camera that much more fun and efficient. Body. Nice tough black body. Looks great and semi-pro like. As you can guess, it is the 30D I am hiding my face behind in my profile picture to the top right! MSDE is a real pain! After various issues at work, I am starting to really dislike Microsoft SQL Server Desktop edition. The SP4 update is nothing short of utter crap. You double check that the file copied across is correct. If say only half the file is copied it won’t let you know at all. These two seemingly undocumented “features” have caused me a world of pain. Hopefully no-one else will have to go through what I have suffered!